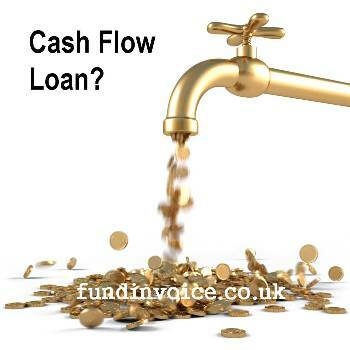 We have had enquiries recently seeking cash flow loans, and we have also seen several of the invoice finance companies extend their product portfolios to include business loans. The purpose of a cash flow loan is normally to finance the trading of a company, maybe to handle large orders or to enable the company to pursue business growth. The terms offered have varied widely. We have seen interest rates promoted varying from 7% per annum up to around the 18% pa mark (there are of course other providers with rates beyond this range). Whilst everyone would love to select the provides at the bottom of the spectrum - or even the banks that may offer even lower interest rates (to the right customers), it is often a case of finding the providers that are prepared to lend, rather than shopping around for the best rates. There is something simple and straightforward about a loan. You know how much you are going to get on day one, and you know the term over which you have to repay it. You have regular monthly outgoings over the period which means you can budget for the repayments in your cash flow forecast. There are variations on the theme, such as offering funding to startups so that they can get on their feet and set up their companies. Several of the invoice financiers will also offer small top up loans, that can be used to supplement your invoice finance funding through peak cash flow requirements e.g. seasonal spikes in trading, or financing a large order. They can also offer this type of funding on a standalone basis, without the need to use any form of invoice finance. With regard to business loans, the criteria and security required vary between providers. However, once again if you are in a tight spot and need to raise cash, you may take a more relaxed approach to offering security in order to get the funding that you need. There are unsecured options on the market though. If you are unable to find the funding you need via the business loan route, there are still alternative options. Receivables finance releases cash from unpaid invoices, and is normally available to almost all businesses, in one form or another. If you can't get a business loan, don't worry - you will probably qualify for receivables funding as the criteria are much more relaxed.